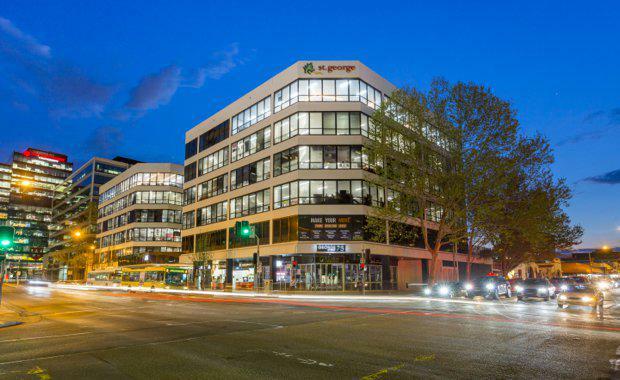 Occupying the intersection of George and Smith Streets in the heart of Parramatta's CBD, 75 George Street is set to hit the market next month. Property fund manager, CorVal are selling the B-grade office building which offers ground floor retail, five office floors and 105 basement car spots. CorVal acquired the property for a HNW trust in 2012 for $32.55 million. The building sits on a 2,668 square metre site with 9,568 square metres of net lettable area, and is currently fully-leased to five office tenants, two retail tenants and a car park operator, including St George Bank, HCF and UniSuper. Savills Australia's Graeme Russell, Simon Fenn, Ian Hetherington and Ben Azar will sell the freehold property on behalf of CorVal. According to Savills, the Parramatta office market is an exciting prospect as it transitions into “Sydney’s second CBD”. This is resulting in heightened tenant demand and substantial amounts of private and public sector investment. Prime grade vacancy is currently at zero and overall vacancy was the lowest of any major market at 4.3 per cent. Around 133,000 square metres of major pre-commitments have been announced, with all of these tenants relocating to Parramatta from the Sydney CBD. The building has a three year Weighted Average Lease Term (WALE), 4.0 Star NABERS Rating and a net passing income of circa $4,752,566 pa.
“The economic rents associated with the new office projects are setting high rental benchmarks," Savills NSW managing director Simon Fenn said. "Existing office owners in the area are benefiting, as rents for existing office stock are naturally dragged up or reflect attractive value compared to new builds. "Sydney’s west was forecasted to facilitate the majority of population and employment growth. The region’s population was predicted to increase by 52% between 2011 and 2036 with employment predicted to grow by an equally as impressive 55% over the same period.